While no similar study has been completed in this country, if the picture in the UK is similar to that in the US and Australia then of the estimated 500,000 motorists turning 70 this year, up to 170,000 might eventually stop driving too early and some 50,000 continue driving with poor levels of ability. 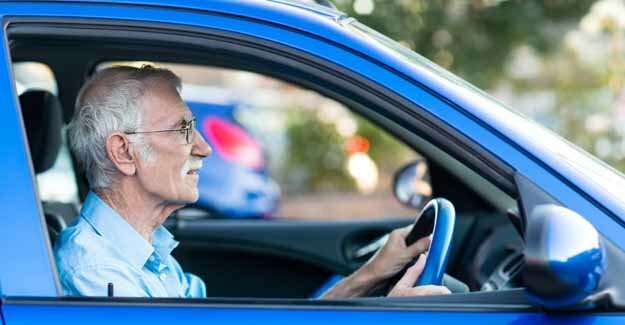 A new report by TRL (the UK’s Transport Research Laboratory) for the RAC Foundation – Driving Choices for the Older Motorist – analyses data from several countries and finds that self-assessment tools can give older drivers useful feedback about their skills, but they cannot replace the professional assessment of driving abilities. Further validation of self-assessment tools would be needed before they were promoted more widely. Currently there is no regular or systematic use of self-assessment tools across the UK though some local authorities, including Devon, Suffolk and Sussex promote their use. The RAC Foundation for Motoring is a transport policy and research organisation which explores the economic, mobility, safety and environmental issues relating to roads and their users. The Foundation publishes independent and authoritative research with which it promotes informed debate and advocates policy in the interest of the responsible motorist. In December 2010 the Department for Work and Pensions (using Office for National Statistics data) predicted 17% of the then UK population would live to see their 100th birthday.